There’s a lot of hate out there for self driving cars, and while I can understand some of the reasons I think the good out weights the bad. 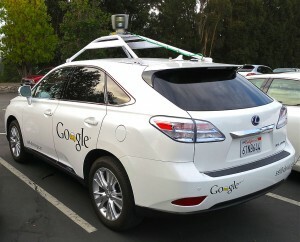 Personally, I can’t wait to get a self driving car when the technology is ready. I think self driving cars will change a lot about our daily lives. Yes, I love technology. Yes, I’m an early adopter. Yes, I wasted $1500 on Google Glass. I understand your skepticism, however let me explain why I think self driving cars will be so important. Safety.This one is a no brainer. So many avoidable accidents are caused by either distracted driving or simply poor driving. With self driving cars we can eliminate a lot of avoidable traffic accidents. Drunk drivers will no longer be a threat, nor will texting teens or other common stereotypes. Farmers markets will forever be safe from senior citizen drive throughs. If I owned a bar I’d invest in one or two self driving cars to ensure my patrons got home safely. I might even start a “we’ll pick you up” service too. If I owned a senior citizen home or a nursing home I’d also invest in some and allow my residents to go see their families, go to their doctors appointments, go to the store, and perform other tasks. Productivity. I alluded to this above. If the car is driving I’m free to text, or work, or watch a movie, or surf the web. This is probably the reason that Google became so interested in self driving cars to begin with. Think about it: When (aside from sleeping) are you not using any Google products? When you’re driving! One way for Google to increase their ad revenues is to get more users. Another way is to give their current users more free time – free time they’ll most likely spend using one Google service or another. Self driving cars are the way to do that. Despite being only 30 miles, my commute to work takes over an hour each morning. Imagine how much more productive I’d be if I could walk in the door of the office having already caught up on email. Monetization. I can’t wait to make money from my self driving car. Think about it: If I’m at work from 9-5, there’s no reason my car needs to be sitting idle in a parking garage. The obvious next step for companies like Uber and Lyft is to sign up self driving cars. It won’t be long until my car is making money for me by serving as a taxi while I’m at the office. When I’m ready to go home I’ll just hit a button on my phone and it’ll come back and pick me up. Then there’s the savings. I currently pay $50/month to park my car in a parking garage. There’s a free parking lot about a mile away. It’s too far to walk every morning, but if my car can drive there on its own I could put that $50 toward more thai food for lunch. Sure there’s some legal issues around self driving cars. We’ll eventually need to decide who’s liable if a car with no driver is involved in an accident, but I’m confident we can handle that. There’s also some technological issues a play, like how do you prevent the car from being hacked and what happens if the internet access goes down or the maps aren’t updated, or well you get the point. But these things can be solved. We shouldn’t let current issues stop us from creating future technology. Self driving cars are a ways off right now, but I personally can’t wait until they’re part of our every day lives. PRODUCTIVITY, yes because it makes you productive by having more free time and can spend a lot of works or anything to do.